Bono, The Edge, Adam Clayton and Larry Mullen Jr are back on the road with their eXPERIENCE + iNNOCENCE Tour, which comes to The O2 on Tuesday 23rd October 2018. The Irish quartet are so huge there will never be an end to their commercial success and there's no debating that U2 put on a tremendous live show. A sequel to the 2015 tour which saw "U2 reinvent the arena show" (Rolling Stone), this new arena production is staged in the round and features multiple performance areas. If you saw 'U2 at the BBC' with Cat Deeley, when the band performed an intimate gig at Abbey Road Studios, you'll want to see this. U2: ePERIENCE + iNNOCENCE Tour U2. Photo: Olaf Heine. What are the best dining options near U2: ePERIENCE + iNNOCENCE Tour London? U2: ePERIENCE + iNNOCENCE Tour gyms, sporting activities, health & beauty and fitness. The best pubs near London U2: ePERIENCE + iNNOCENCE Tour. 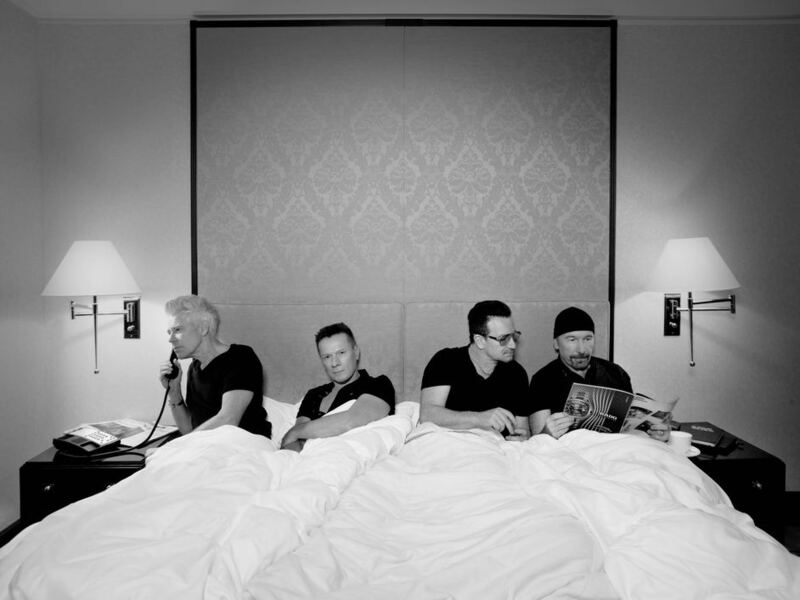 U2: ePERIENCE + iNNOCENCE Tour clubs, bars, cabaret nights, casinos and interesting nightlife. Where to have your meeting, conference, exhibition, private dining or training course near U2: ePERIENCE + iNNOCENCE Tour.